Commonwealth Master’s Scholarships are for candidates from low and middle income Commonwealth countries, for full-time Master’s study at a UK university. 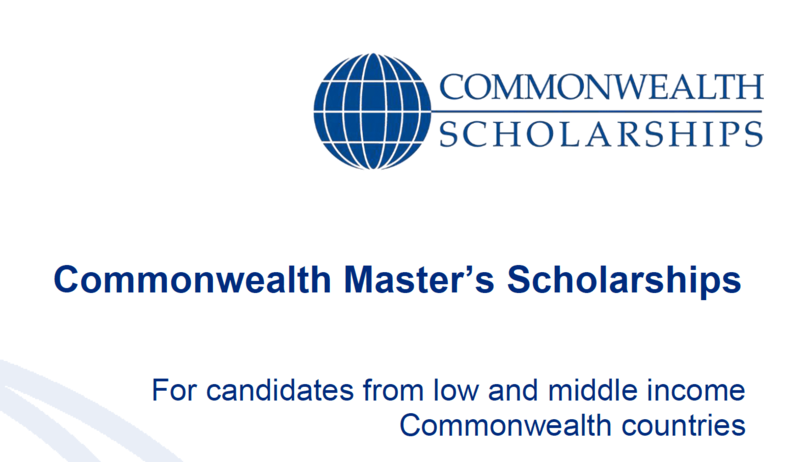 Funded by the UK Department for International Development (DFID), Commonwealth Master’s Scholarships enable talented and motivated individuals to gain the knowledge and skills required for sustainable development, and are aimed at those who could not otherwise afford to study in the UK. All applications, must be submitted by 16:00 (GMT) on 19 December 2018 at the latest. You are advised to complete and submit your application as soon as possible, as the online application system will be very busy in the days leading up to the application deadline. Next articleAfrica Agri-Food Development Programme 2018/2019 for agri food companies in Africa. I am interested in a Management scholarship! How to get an application form for applt?? Comment:Holder of barchelor degree of education & agitating for masters of education.l need financial support to continue.l prefer distance learning due to family pressure. when does the nominating board begin to respond to applicants giving them feedback on the success of the applications.